I've read the blog on how to get your passport have its Qatar Visa Stamp in Manila. 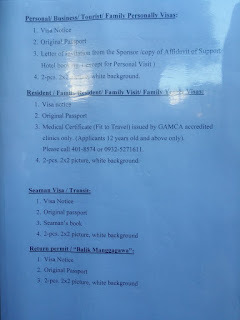 Although somehow it help me to accomplish my Visa Stamp in Manila. I think it is best to update and post my own blog in order not to waste your time and money going back and forth to Qatar Embassy in Manila. First thing to do, HOW TO GET TO QATAR EMBASSY IN MANILA. If you are coming from SM Megamall you can ride the MRT till Magallanes Station and from there you can get a Taxi. Here below is an interactive map. If you want to take a bus coming from Cubao or Shaw Blvd. You can dropby the Evangelista Overpass, cross on the other side and from there walk back. Now here is the trickiest part. 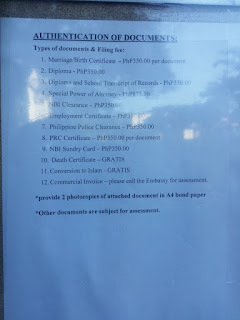 On the Barangay Hall you will be asked to sign-up for your name together with your number. This is a un-official list. The Embassy guard don't honor the list. 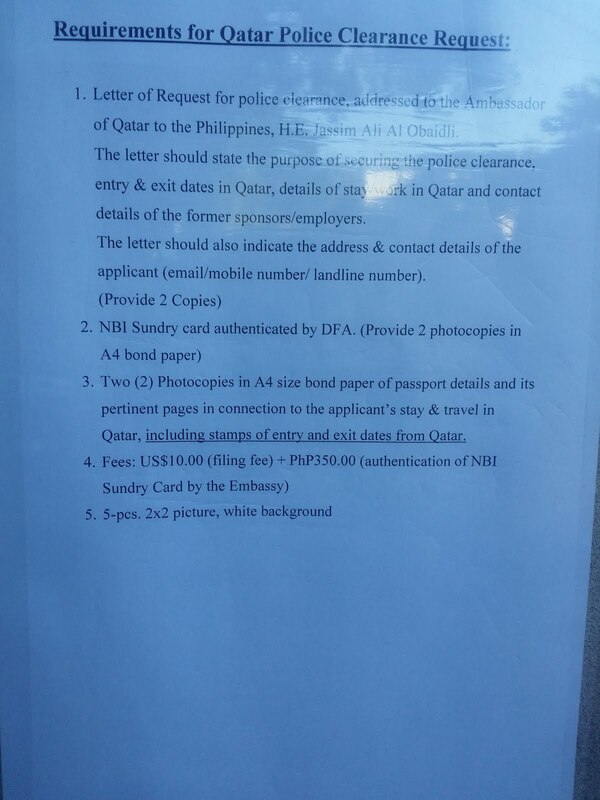 Go straight at the back of Qatar Embassy and ask the guard for the attendance list. 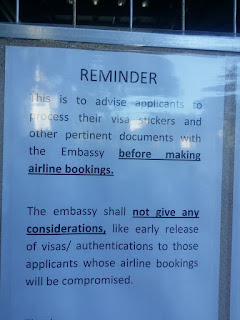 The Embassy accomodates 200 people in a day. 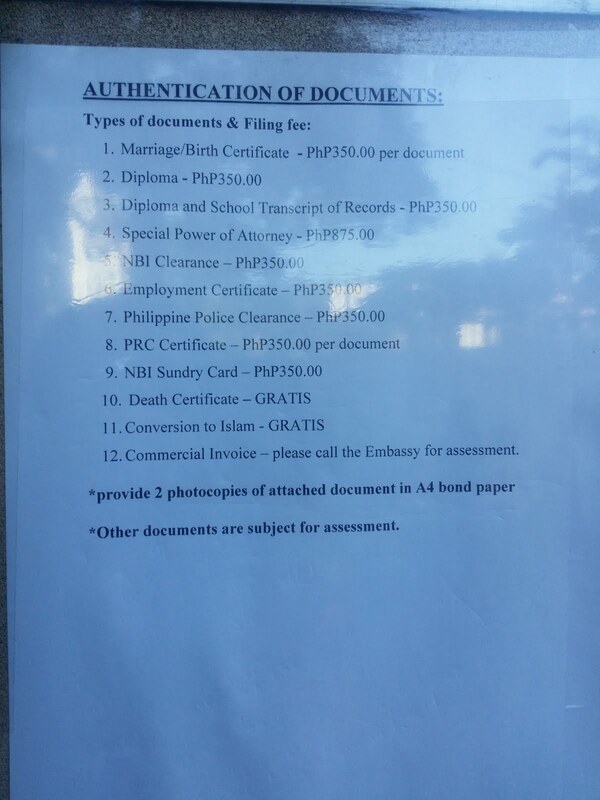 Embassy opens 8:30, I would suggest to be early as 6am. 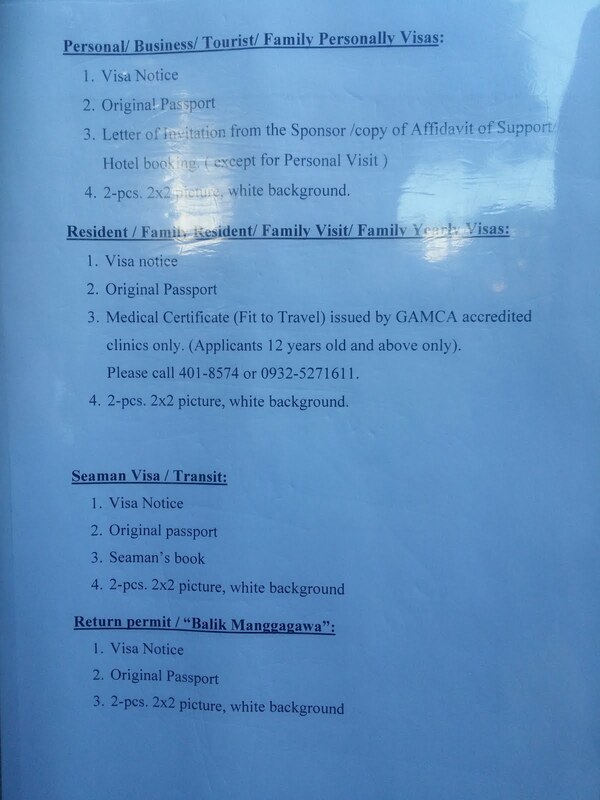 After you have listed yourself you can wait at the Barangay Hall or at Starbucks near the Parking Entrance. 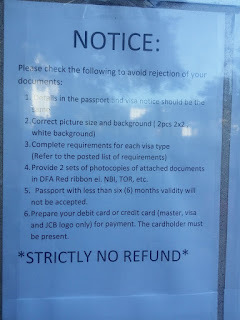 *Kind reminders when you are processing your visa. Please respect the Masungit na Guard. Pwede kayo palabasin. 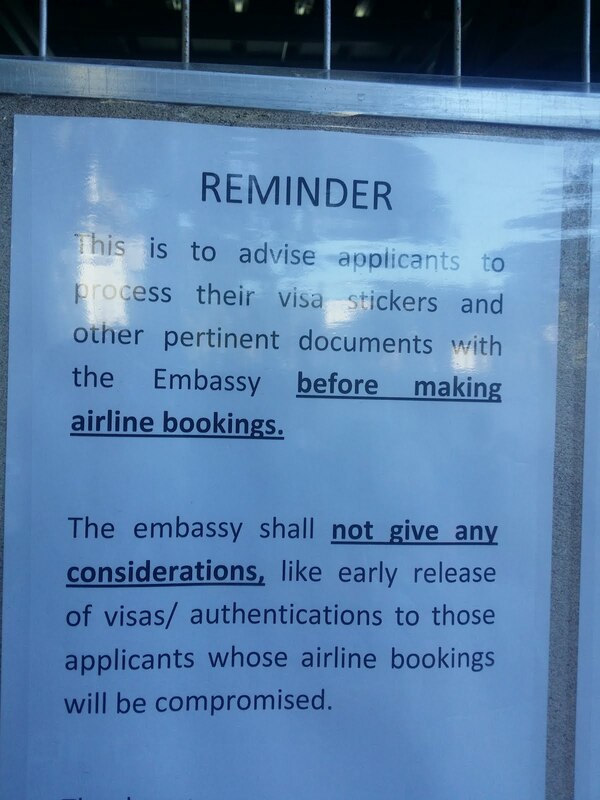 Don't use your Mobile when you are inside the Embassy. *Credit card(MASTER and VISA) and Debit Card (Master/Visa) are only the acceptable payment. You can open an account somewhere in Paseo De Magallanes. I think I overheard Unionbank can process that for you. After you have pass all your requirements, they will ask you to go back after 3 days at 2-3PM. 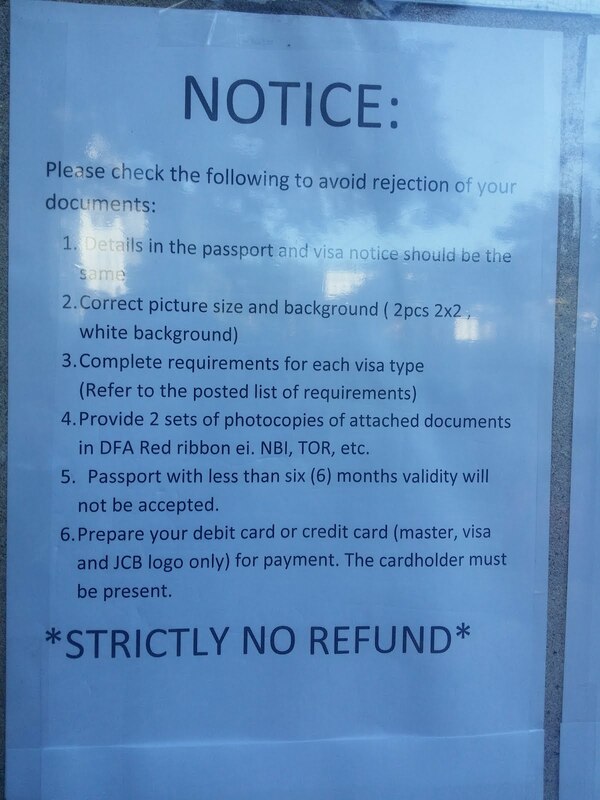 Just keep your receipt otherwise you won't be able to claim your passport. For other requirements please see below. 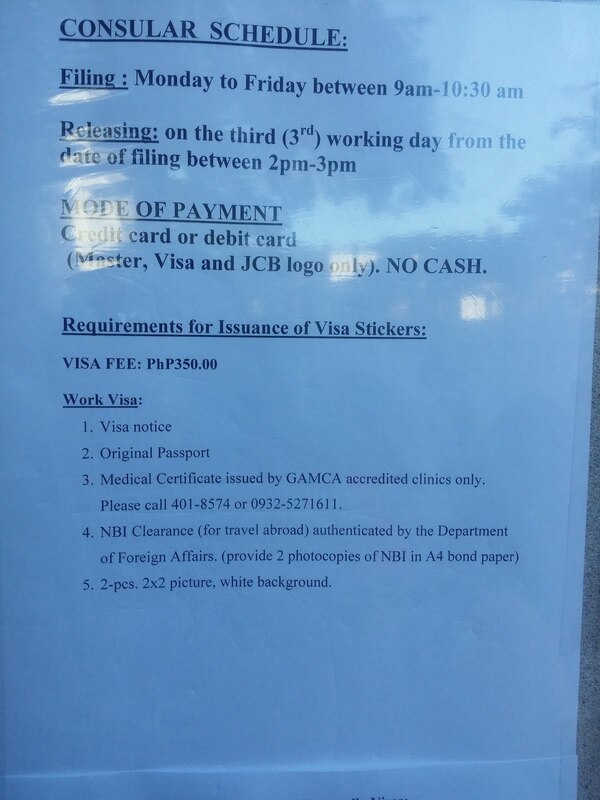 The Embassy aren't processing anymore all walk-in except for Diplomat and E-Government Visa for stamping. Kindly go to the nearest DHL to acquire your Passport's Visa Stamp. Click on the link for the complete requirements and step-by-step procedure on how to process your stamp. See u in Doha!